Every year for many years Ellen and I have colored Easter eggs at Ellen’s sister Ann’s house. These are the eggs we made this year. The egg artists were Ann, her husband Dave, our friend Tim, Ellen and I. Each year a judge is chosen to award winners in a number of categories. Ann’s daughter Ina was the judge this year since she wasn’t able to join us for the coloring. At the end of this article I will link to some previous years’ articles which have some how-to examples, but over a lifetime of doing this, we’ve figured out some techniques and tricks. For instance, the geometric shapes are done with tape, either Scotch magic tape or masking tape. This year Tim also tried black electrical tape, and on one egg above it’s still on the eggs, making for a cool black and green pattern. We decided he had to remove the tape for the judging, though. 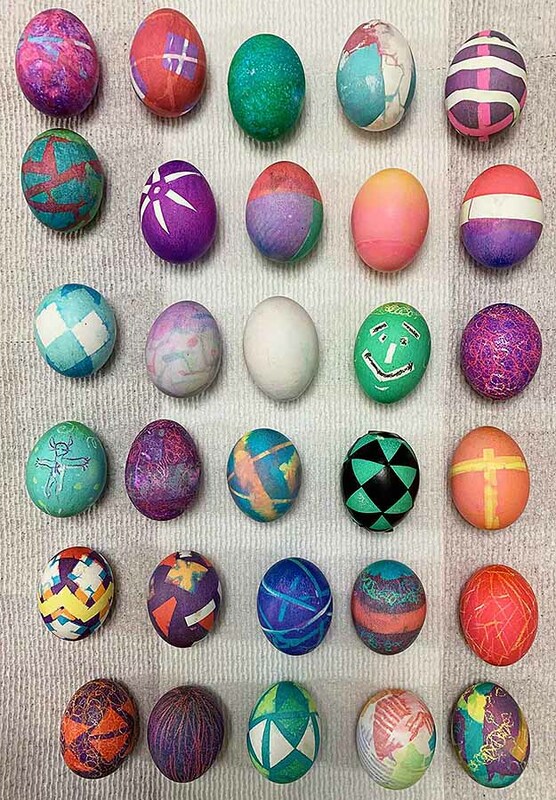 Thin lines of various kinds are made with the wax crayons that come with the Paas egg coloring kits. Thicker lines are done with rubber bands. Dark colors are the result of multiple color dipping, and to get more intense colors we double the color tablets and vinegar. Here are the award winners chosen by Ina. This entry was posted in Holidays on April 21, 2019 by Todd. I’ve liked all that I’ve read by Michael Chabon in the past, and this short novel or novella seemed like one I’d enjoy. It’s a mystery story featuring an unnamed but obvious Sherlock Holmes near the end of his life, living in a rural area as a beekeeper, as Holmes’ creator A. Conan Doyle suggested as his retirement. It takes place in 1944, and Holmes is presented with two intertwined mysteries, or perhaps three. First, he meets and befriends a young refugee boy living with a family nearby. The boy cannot speak, and cannot understand English, but responds to German. The other unusual thing about him is his pet and constant companion, an African parrot who is a frequent talker in several languages. His most common offering is a list of apparently random numbers. In the rooming house run by a minister and his wife where the boy lives, we meet a man who has an intense interest in the parrot, Bruno, This man, Mr. Shane, is apparently murdered outside the rooming house while attempting to steal the parrot, which cannot be found afterward. The boy is devastated at the loss of his friend. Holmes is called in to help solve the murder by local police, but his true motive is to find the parrot. He suspects one goal will lead to the resolution of the other. I enjoyed reading this, but as a Sherlock Holmes homage or pastiche it doesn’t work for me, and here’s why. Doyle was always careful to keep us out of the inner thoughts and emotions of Holmes, except by inference and the insights of his companion, Dr. Watson. 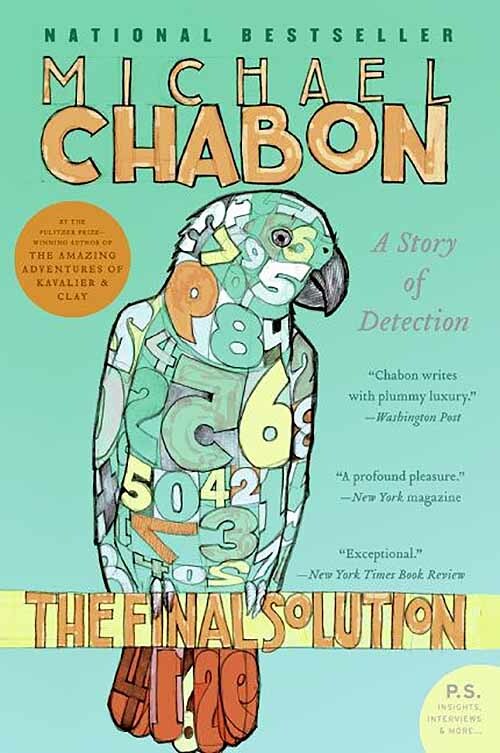 Here, Chabon tells much of the story from inside Holmes’ head, and we learn all about his sadness at the handicaps of age, his feelings and emotions about being less than he once was. It feels like a betrayal to me, and so antithetical to the Doyle stories, all of which I reread a few years ago, that I couldn’t enjoy it as much as I would have liked. That may be just my own reaction, yours may differ, of course. The story itself is well crafted and satisfying in other ways, but I can only mildly recommend it. This entry was posted in Books, Reviews on April 17, 2019 by Todd. 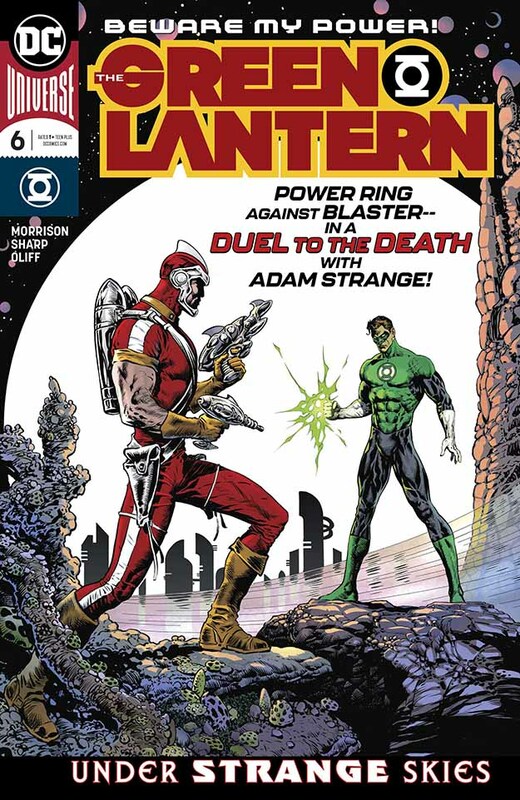 There are two stories written by Paul Constant in this fun premiere issue. The main story, with art by Alan Robinson, takes place in a 1988 high school where a testy jock named Chad is beating up a nerdy kid for no apparent reason. 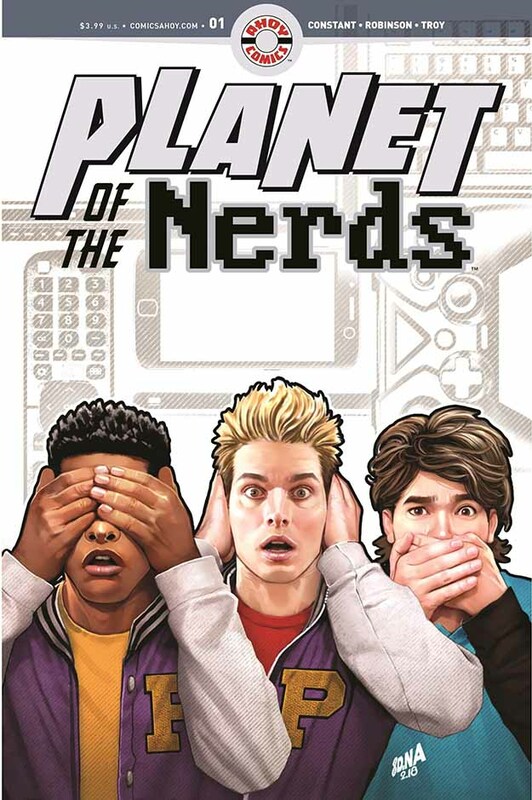 Chad’s friends (the three of them are on the cover) are trying to stop him. The reason for the attack is at least partly explained in the backup story with art by Randy Elliott, told from the nerd Alvin’s point of view. Alvin’s take is, in its own way, just as off-balance as Chad’s, but Alvin has a secret science project that’s going to change the lives of those three jocks when they follow him to his hidden lab in an abandoned house. My one quibble is a technical one with the otherwise fine lettering by Rob Steen. If, in the 1988 sections, the idea is to make the pages look like they are printed on newsprint with a paper-tone background, the balloons should also have a paper-tone background. Making them pure white ruins the idea for me. Well-written and well-drawn, this rang true to me as a bonafide nerd in high school myself. Oh, and what a great cover by David Nakayama. I like to think my logo works well on it. Recommended. This entry was posted in Uncategorized on April 16, 2019 by Todd. 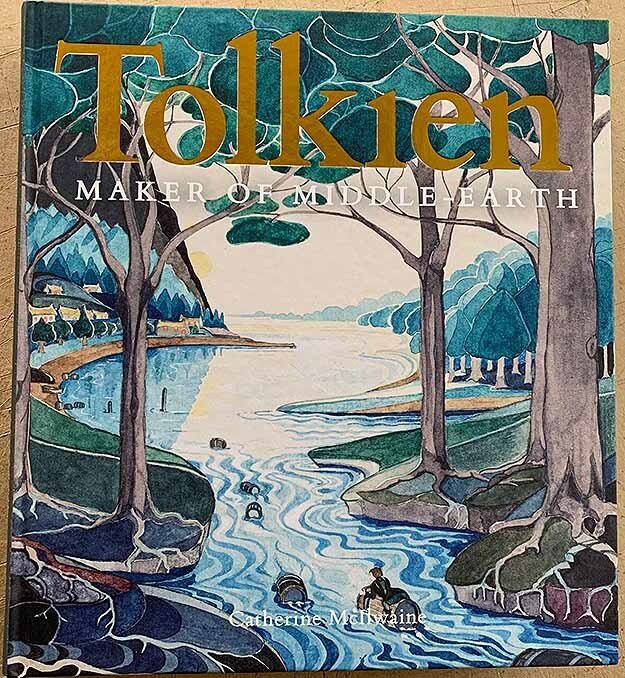 A few weeks ago Ellen and I attended the fabulous Tolkien exhibition at the Morgan Library in New York City, and I bought this book about it. I’ve just finished reading and enjoying it. First off, if you can get to the exhibit yourself, do so! If you can’t, everything I saw in person is here as well as many other things of great interest to Tolkien fans. This entry was posted in Books, Reviews on April 14, 2019 by Todd.